Enjoy Australia's Mornington Peninsula while experiencing luxury in the lush countryside of Rosebud at Nepean Country Club. Just 50 miles from Melbourne, there is plenty to do: the peninsula offers easy access to marine reserves, seal colonies, dolphin watching, seafood, fishing and surfing. Picnics, trail riding, strawberry picking, galleries, craft shops, beaches and wine tasting are enjoyed by guests as well. The area also boasts many championship golf courses and bowling clubs! 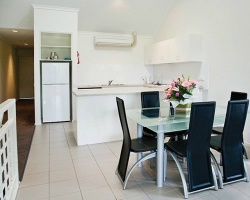 For more information about this fun-filled escape, visit www.nepeancountryclub.com.au. Onsite day spa! Many activities onsite and nearby! RTU until 2045! Buyer May Receive A Title Fee Credit, Inquire For Details! Many nearby activities for everyone to enjoy! Annual floating week! Buyer may receive a title fee credit, inquire for details! 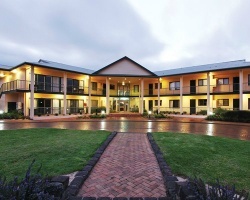 So much to see and do at this lovely resort in the Australian countryside! Buyer may receive a title fee credit, inquire for details!